﻿ Holiday Cottages around Crummock Water in the Lake District. Holiday Cottages around Crummock Water in the Lake District. Crummock Water is a beautiful lake in the north-west of the Lake District. There are a range of self catering holiday properties relatively near to Crummock Water. Please browse the selection of self-catering holiday properties below. Click the links for more details on individual cottages. Alternatively browse the nearby areas for other holiday cottage accommodation. The main towns and villages around Crummock Water include Buttermere, Borrowdale, Keswick, and Ambleside. 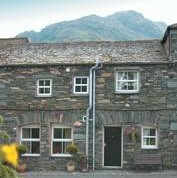 Riverside Lodge,self-catering cottages in Ambleside Cumbria,the Lake District. This Ambleside self catering cottage sleeps 4 people.